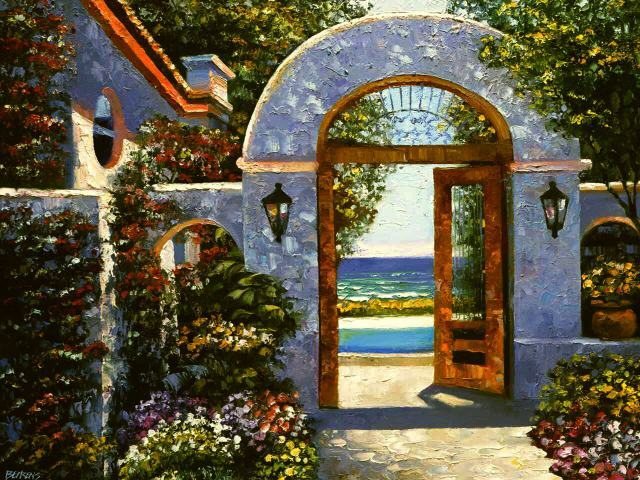 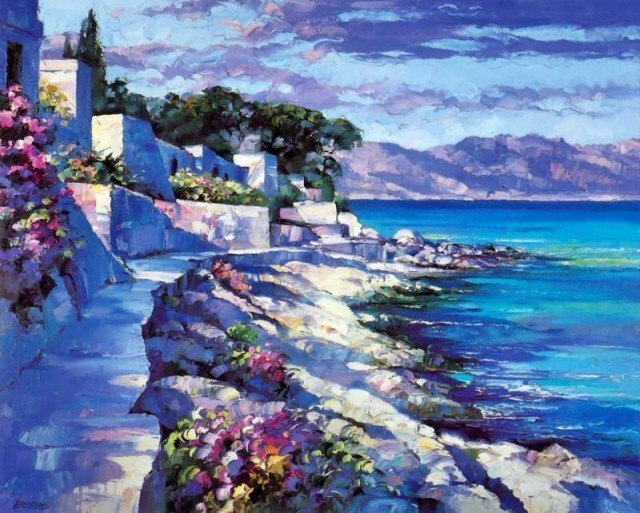 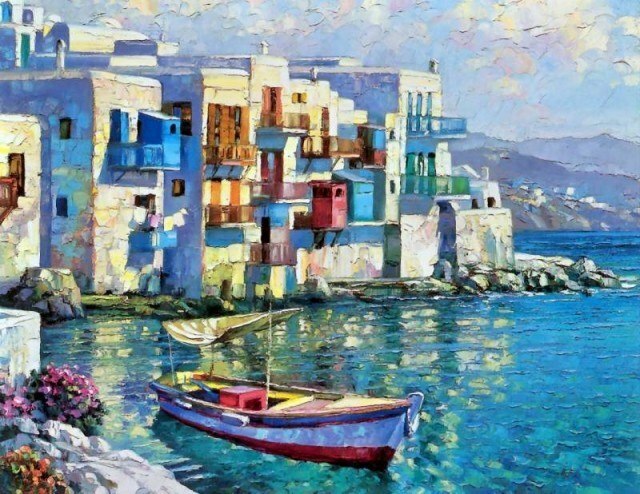 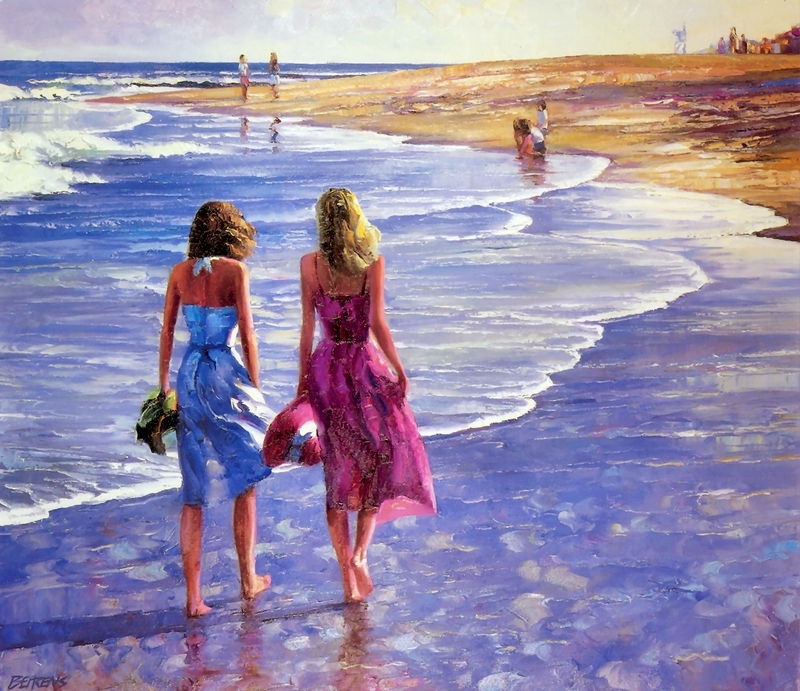 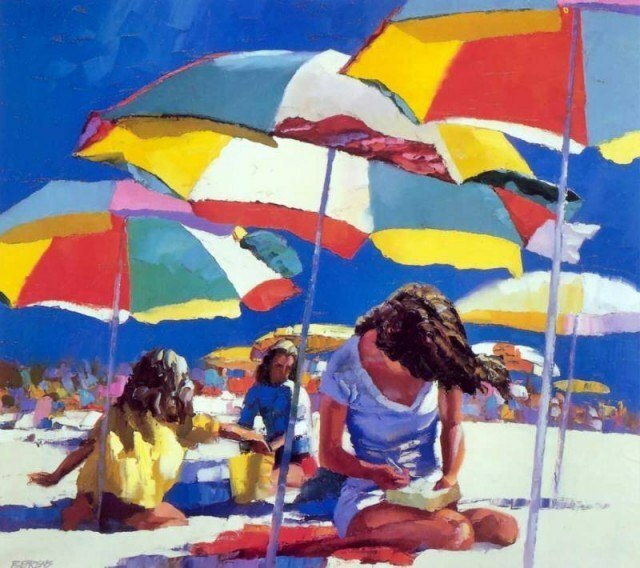 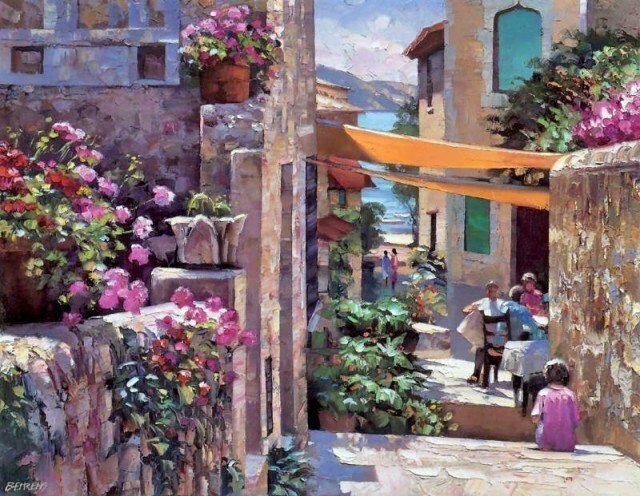 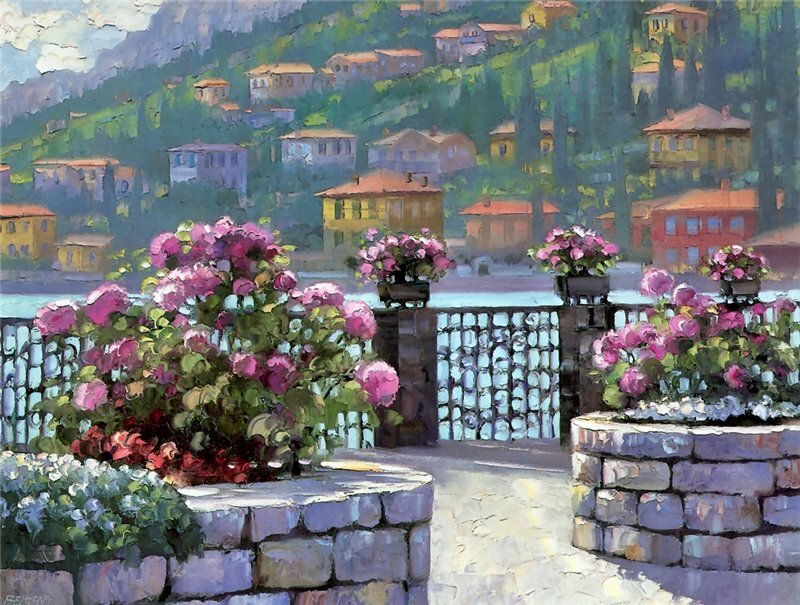 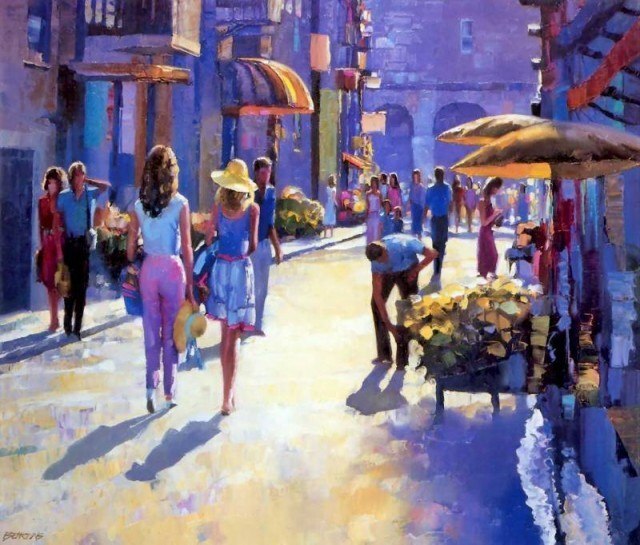 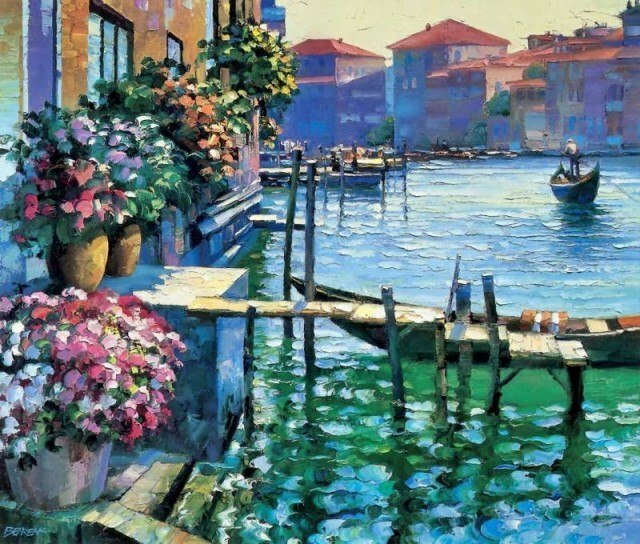 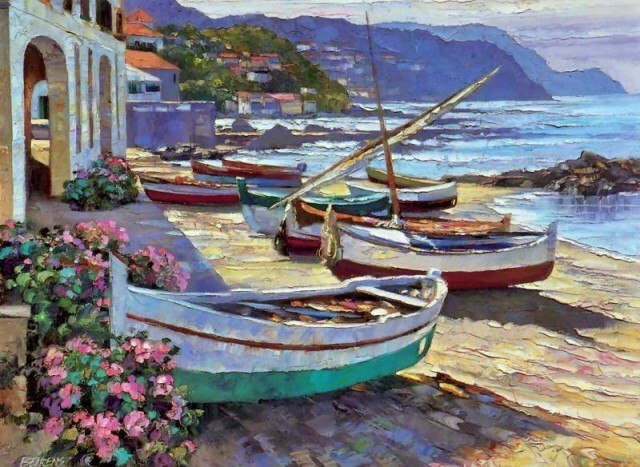 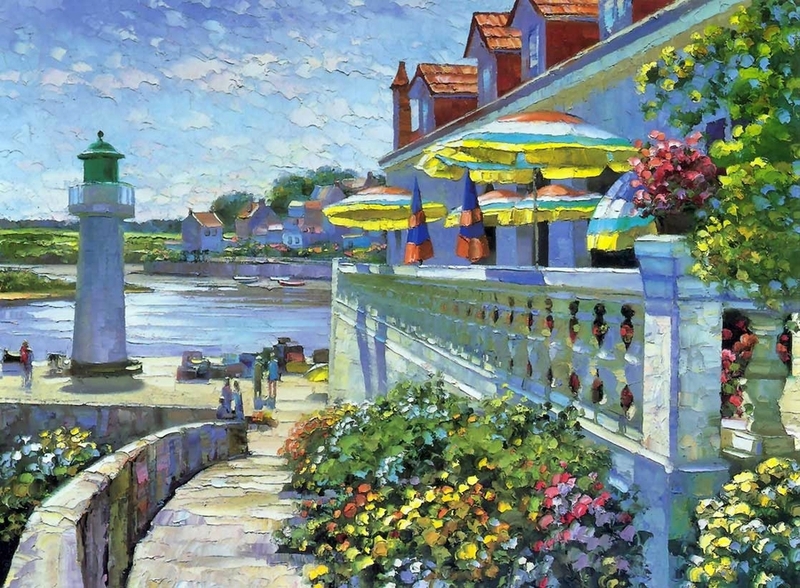 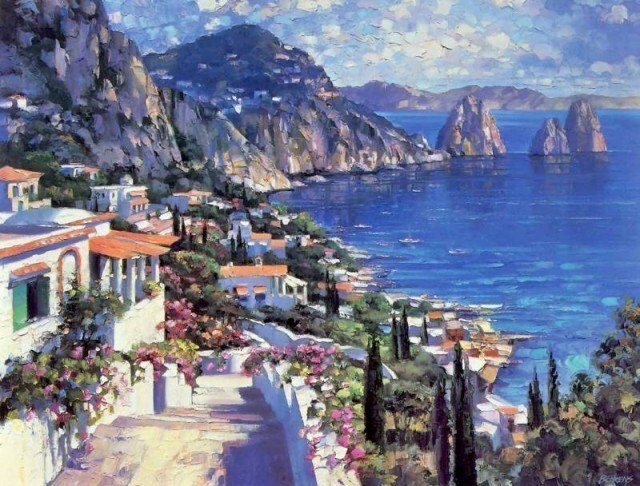 Howard Behrens is an very famous American artist that uses the technique of Palette knife. 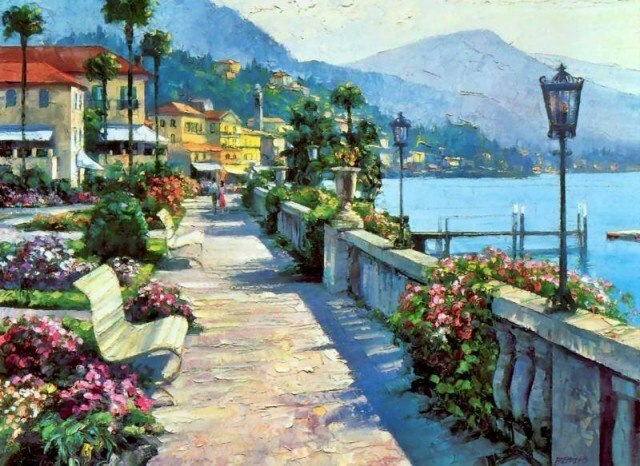 For the past 25 years Howard was travelling around the world and was trying to capture the most beautiful places on his canvas. 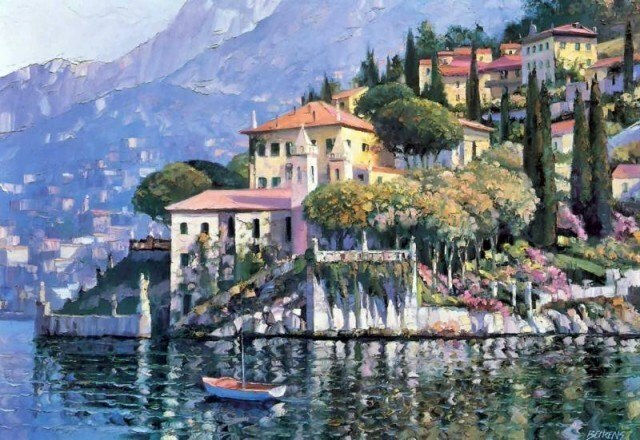 His pictures are usually very glowing and positive, involving tenderness of the nature and romance. 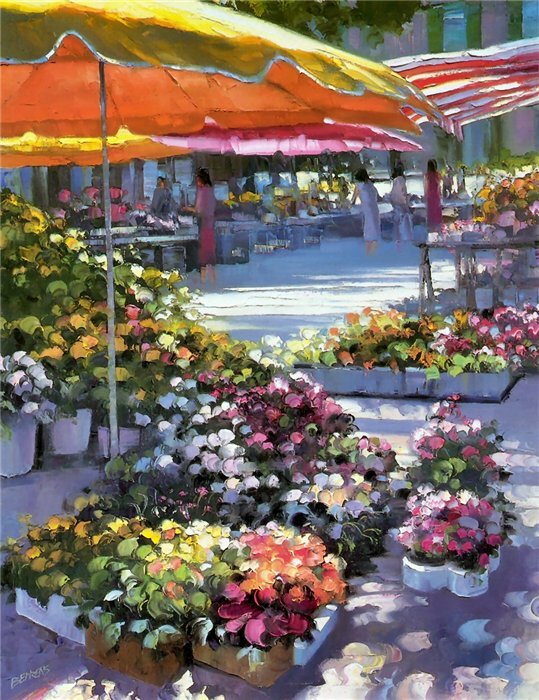 He can be regarded as a contemporary Impressionist because of the tastefully chosen palette and the topic of his works.